During the 20 years following the creation of the country's first enclosed regional mall in 1956, so many were built in Florida that they started to cannibalize each other. Here's a walk down memory lane at ten once popular enclosed malls around the state that don't exist anymore. Interior view of Colonial Plaza in 1966. Courtesy of State Archives of Florida. 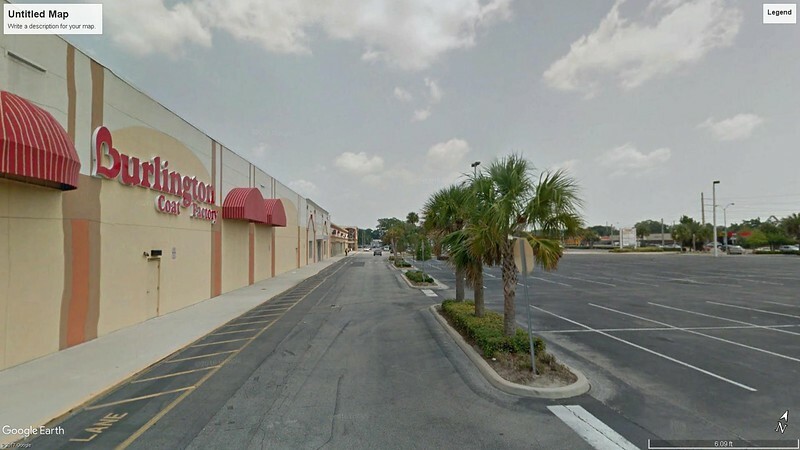 Located 1.7 miles northwest of Downtown Orlando, Colonial Plaza originally opened as an open-air strip mall in 1956. Early tenants included Belk-Lindsey, Publix, Walgreen Drug, W.T. Grant, and J.G. McCrory 5 & 10. On October 22, 1962, an expansion project by Plaza Realty Associates converted the shopping center into an enclosed mall with the addition of a 4-level Jordan Marsh of Florida store on the south side of the center. In 1973, a South Mall section was added to connect to a new and larger Belk-Lindsey store, while the original Belk-Lindsey was subdivided to accommodate smaller retailers, such as Miami-based J. Byron. 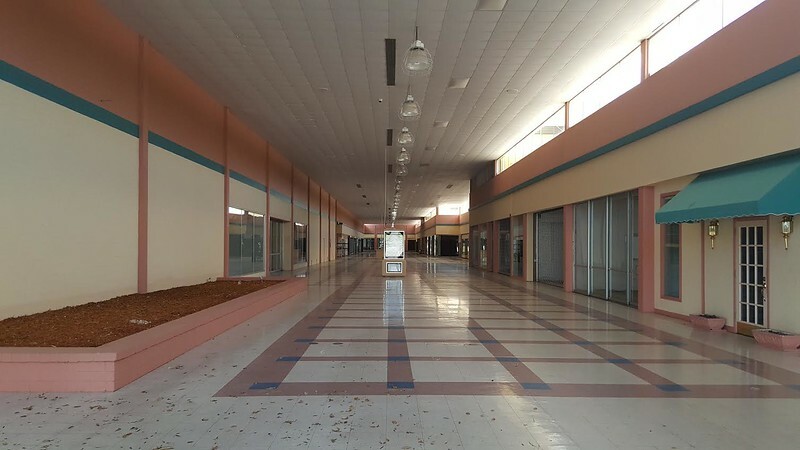 The decline of Orlando’s first enclosed shopping center came with the closure of Jordan Marsh on October 1, 1991 and Dillard’s (former Ivey’s) in January 1995. After its final main anchor Belk-Lindsey closed for good in March 1995, new owner Atlanta-based Cousins Properties razed the mall and redeveloped it as a power center in mid-1995. It’s list of anchors today include Stein Mart, Marshall’s, Barnes & Noble, Beall’s Outlet, ULTA, Petco, Staples, Ross Dress for Less, Hobby Lobby and Big Lots. The former Daytona Mall. Courtesy of Google Streetview. Comprised of 300,000 square feet, Daytona Mall opened in December 1973 as a fully-enclosed addition to an existing Montgomery Ward at the intersection of International Speedway Boulevard and Nova Road. It replaced Westgate shopping center, the city’s first large shopping plaza and was the second fully-enclosed shopping center to open in the city, following the 1969 opening of Sunshine Mall. Tenants included Montgomery Ward and Zayre department stores, an A&P grocery store, a six-screen theater, drug store and several clothing stores. Less than a year later, the Edward J. DeBartolo Corporation opened the much larger Volusia Mall, a few blocks west of Daytona Mall, on October 14, 1974. Unable to compete, during the 1990s, the mall was split into separate ownership with its former anchor spaces being subdivided to accommodate smaller tenants. Today, it is known as Midtown Plaza.The former Zayre store was divided into smaller big box retail sites, including a Sav-A-Lot discount grocery store. The former Montgomery Ward was split into three smaller spaces, with the largest being occupied by Burlington Coat Factory. Netpark Tampa Bay was originally built as the East Lake Square Mall. Courtesy of Netpark Tampa Bay. When it opened in 1976, East Lake Square Mall was the first regional mall on the east side of Tampa and one of the city’s first two story enclosed shopping centers. For years, it was anchored by JCPenney, Montgomery Ward, Dillard’s and Service Merchandise. East Lake’s days of prominence went down the tubes with the 1998 opening of the Brandon Town Center in nearby Brandon. In 1999, the mall was reincarnated into a technology office campus called Netpark. Developed by Sam Morris Spevak, Gateway Shopping Center originally opened as an open air strip shopping center in 1959. 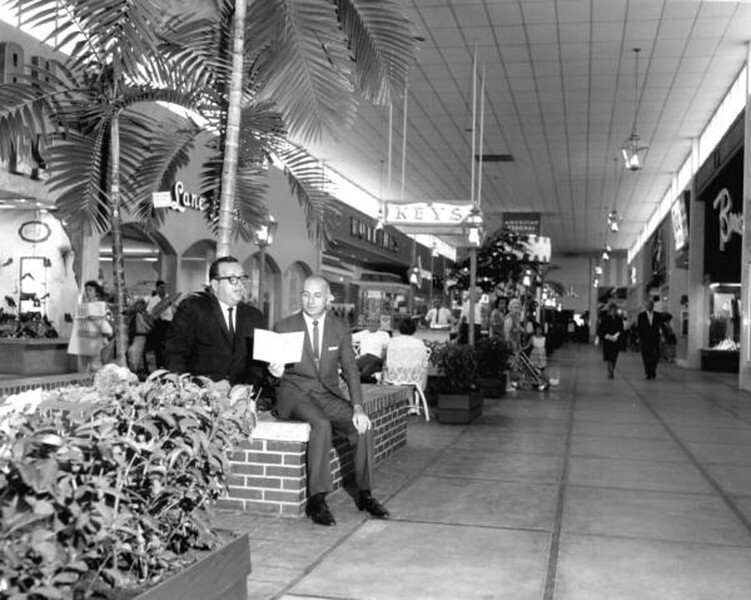 In 1967, it was expanded to include a 300,000 square foot indoor mall anchored by JCPenney and Montgomery Wards. Gateway’s days as a regional shopping mall peaked in the late 1970s. Recognized as the city’s premier African-American retail destination by this time, the mall’s anchors included JCPenney, May Cohens, Service Merchandise and Jefferson Ward. Despite a major renovation in 1985, Gateway struggled with a rash of major closings, the expansion of Regency Square Mall and the opening of The Avenues Mall during the 1980s and early 1990s. Jefferson Ward closed in 1985 (replaced by Zayre) and Maison Blanche acquired and closed May Cohens in 1988. The most devastating blow came in 1992, with the closing of Service Merchandise and JCPenney, leaving the center with no major retail anchors. 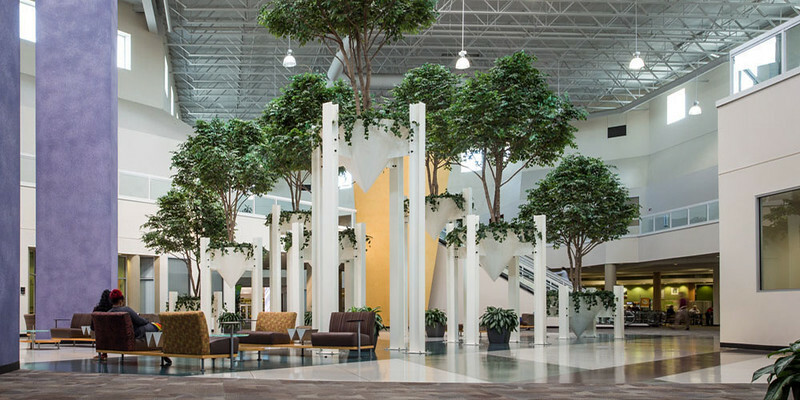 In 1997, the largely vacant mall was purchased by Gateway Center Economic Development Partnership, with the goal to change the focus from a regional orientation to a neighborhood center. Rebranded Gateway Town Center, the outdoor portion of the shopping center survives with a few neighborhood retailers and a Publix Supermarket, while the enclosed mall sits abandoned and waiting for a new lease on life.